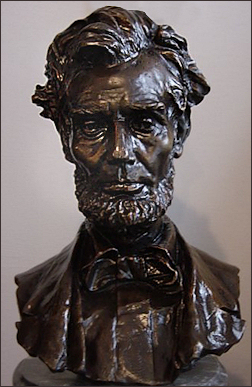 We are proud to present one of the most impressive bronze sculpture and bronze statue collections in the United States. Each sculpture is hand crafted by some of the finest artists and bronze foundries in the world. Many of the pieces are on display in our art gallery and sculpture studio in Baltimore, Maryland. 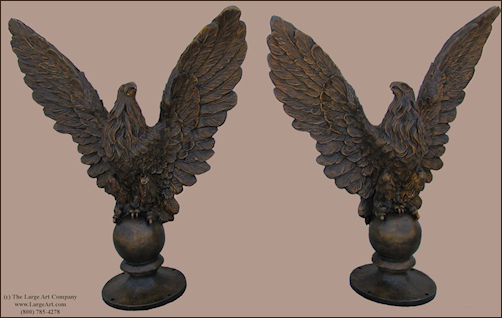 Each sculpture or statue is hand-crafted of excellent quality American bronze by skilled artists using the lost wax method of bronze casting. The patina (coloration) is applied by hand by skilled artists. Real marble is used for bases. A word to the wise is to spend a little more and buy a piece you will be proud to display and will be an heirloom in your family for many generations to come. For more information about what makes our sculptures different please read our frequently asked questions. 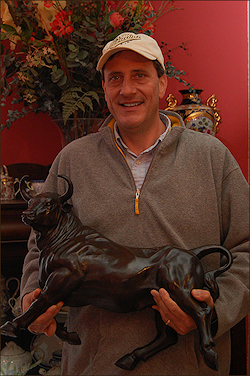 We carry over 100 open edition bronze sculptures and statues in a variety of styles including Western sculptors such as Frederic Remington and Charles Russell, classic sculptors such as Auguste Rodin, equestrian sculptors such as Mene, and Barye, art deco sculptors such as Icart and Chiparus and wildlife sculptors such as Moigniez and Bonheur. If you are looking for something particular and don't see it on our site, feel free to call or drop us a note. There is a good chance we have it or can get it and our prices cannot be beat. If you can find the same quality bronze sculpture or statue at a better price we will match it! 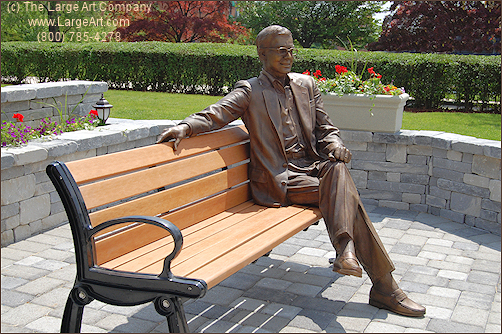 The Large Art Company also offers full-service custom sculpture services. 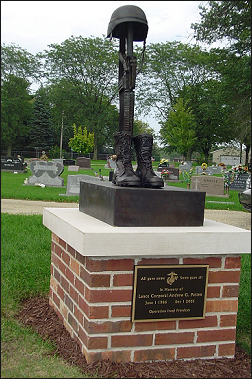 We are able to create almost any sculpture you can envision. We also do portrait sculptures of those we want to remember. Please see our Private Collection for examples of our past projects. Every project is supervised by Richard Rist the owner of the company. We can handle all aspects of the project from design to even the most complex installation. Call or write to ask about your special project. Or Click Here for more information. 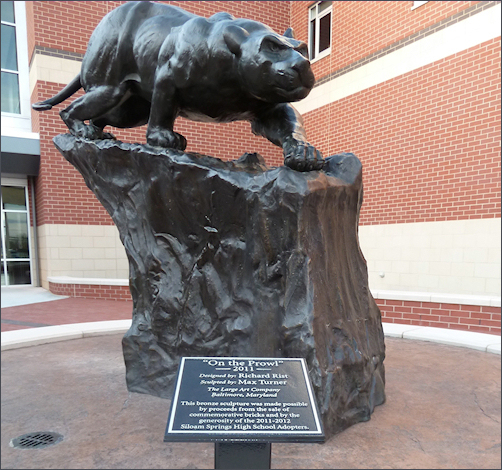 Our bronze sculptures and bronze statues are the finest quality bronze sculptures and bronze statues you will find. 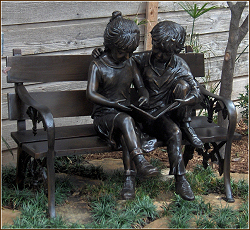 The bronze children statues and bronze children sculptures are life-size and cast on at a time by skilled artists. The children sculpture collection includes boy sculptures and boy statues, girl sculptures and boy statues, child sculptures and child statues of all shapes and sizes. The Frederic Remington collection includes all his famous sculptures including Bronco Buster, Mountain Man and Rattlesnake. The Auguste Rodin sculpture collection includes his famous sculptures of The Thinker, the Kiss, Burghers of Calais and Mask of Sorrow.